I've gotta hand it to Will Smith. He's been meticulous about choosing projects over the last few years, straying away from his signature alien and summer blockbuster action films and venturing into meatier dramas and major comic book franchises (i.e. Suicide Squad). For that, he's become somewhat of an interesting actor to watch. 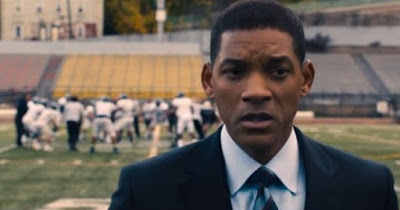 be a fascinating movie, except for the fact that 1) there are no actual football scenes, 2) the conflict isn't compelling enough, and 3) we don't learn anything about Dr. Omalu outside of this particular case. 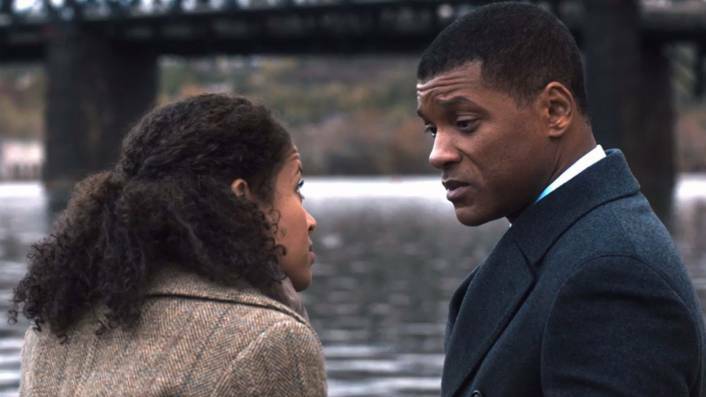 (Also, Smith and Gugu Mbatha-Raw, who plays his doting wife, look nothing like the real people). That said, the film has very little appeal after experiencing it in its entirety. Part of the problem is that the film doesn't humanize its subject. Dr. Omalu is presented more as an obstacle--socially awkward, brilliant, but sparking too much slanderous discussion against football with his studies that indicate that the sport is a direct link to concussions and fatal brain trauma. We see him bickering with his medical peers, both threatened and annoyed by his techniques, taking on the discomforted National Football League, and in turn its associated physicians--all to no avail. It's not particularly dramatic or even fascinating to watch. The weak, forgettable score doesn't help heighten the drama, and neither does Smith's (presumably under Peter Landesman's direction) assuaged performance. It's all just...very middle of the road. Perhaps CONCUSSION may have been better suited for the small screen, where having a dramatic impact isn't as much of a mandate. As a big screen feature, it falls incredibly flat. Which brings us to the other glaring issue that sports fans may especially notice: it's lack of actual sports scenes that influence its agenda. While the film continues to impress that Dr. Omalu isn't anti-football, it doesn't really go out of its way to present the sport in action--for better or worse (outside minimal footage of old games). In fact, it seems more of a sub-theme of the film. But that brings us to wonder what the film is actually trying to say. Is it to tell Dr. Omalu's story, albeit thinly? Is it to inform audiences of how dangerous football really is? Or is to highlight that a highly accomplished black doctor had the audacity to make a statement that could jeopardize one of America's favorite pastimes (an actually poignant aspect that is presented as a mere mention in the film)? 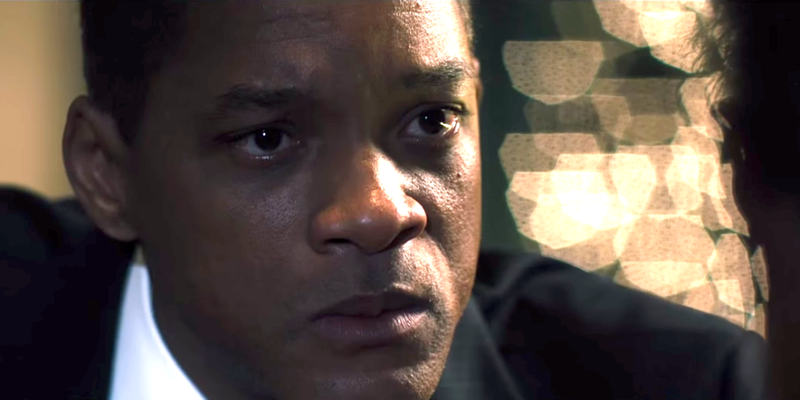 CONCUSSION doesn't honor any of its presumed agendas very well, though Smith seems committed to the role and Dr. Omalu's character. It's already racked up a few award nominations this season, but I'll be curious to see how many will remember this film a year from now. CONCUSSION is in theaters December 25. I kind of figured this would happen with this movie...all budget spent to putting Will Smith on board and little toward the script. You're right about Smith though...his versatility is something great. It's too bad this one is going to be a dud for the year.